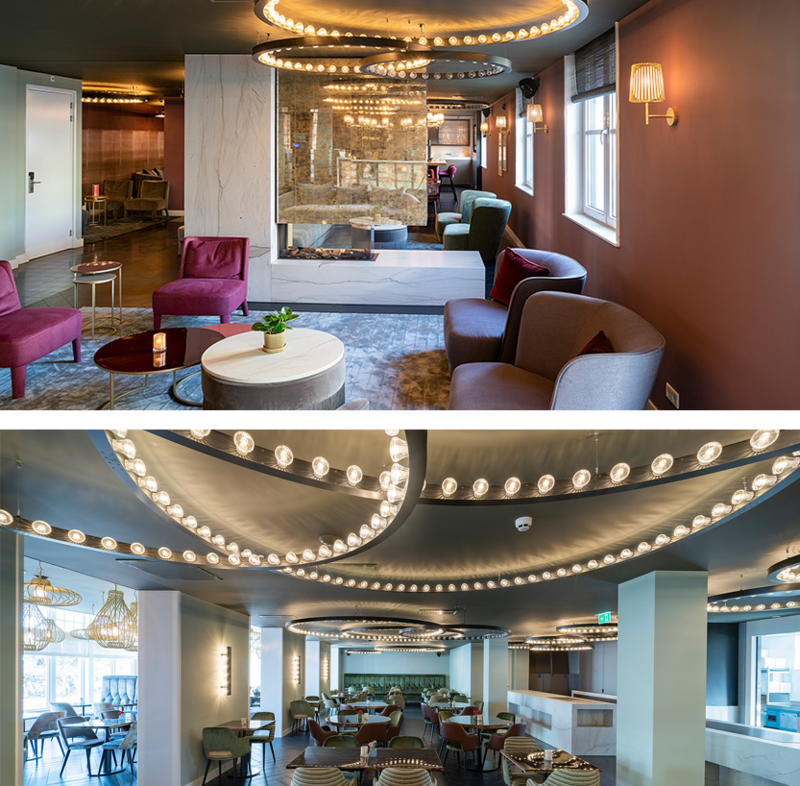 Here you’ll find some of our recently completed construction projects.  Would you like to know more about one of these, or are you interested in our services? Please contact us. 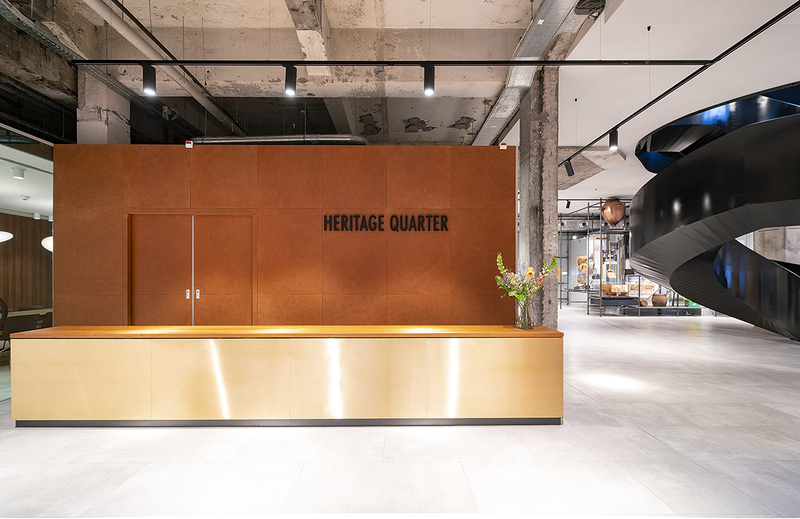 Commissioned by IJbouw, we were part of a joint effort to transform the 5th floor of the Heineken Heritage Quarter. This former brewery building is 151 years old. 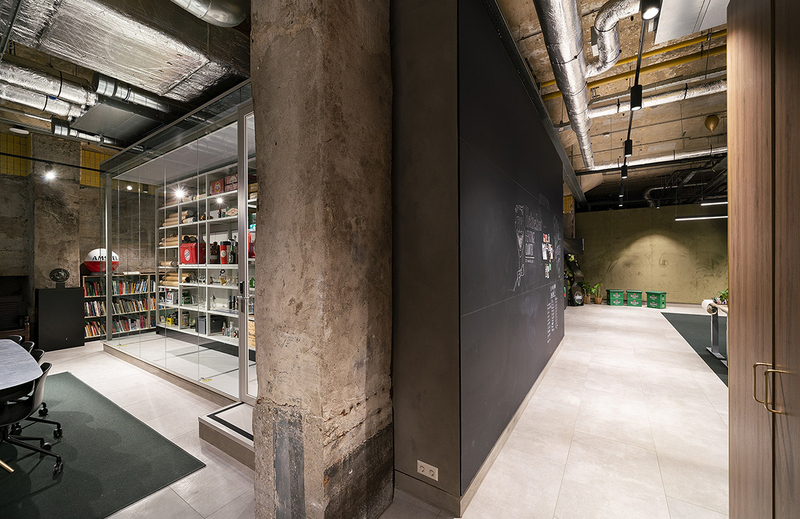 The Heineken Experience is visited every year by 1.2 million visitors, 95% of them tourists from abroad. 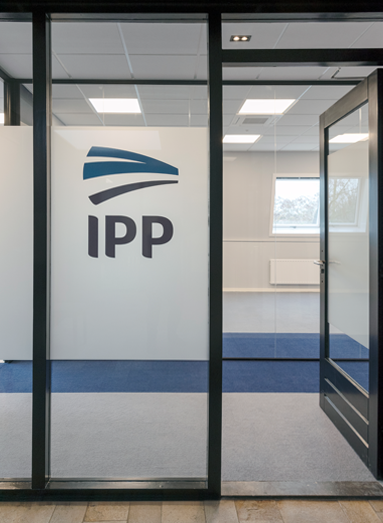 For IPP B.V. we modernized the entire second floor by installing large glass partition walls and suspended ceilings.  IPP B.V. is one of the largest suppliers in Europe of electromagnetic and electronic parts for the aviation and defence sectors. 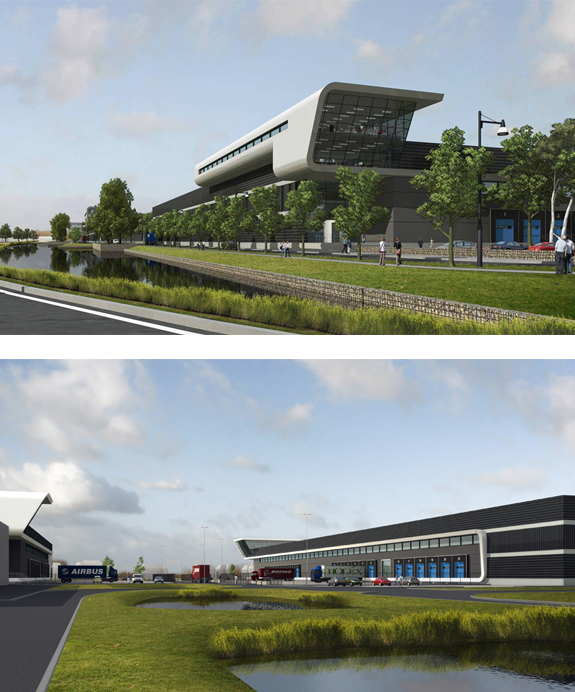 The city of Zaandam has a brand new eyecatcher. 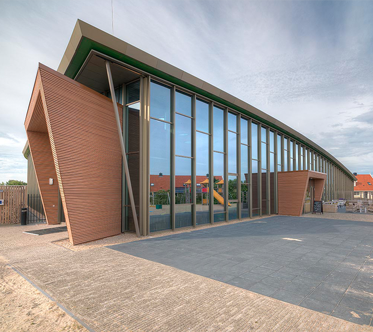 The typical local ‘Zaanse’ building style has been cleverly incorporated in the design of the Zaan Hotel. 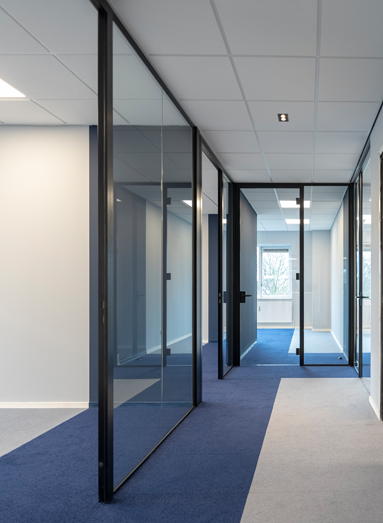 Punt Systeembouw was responsible for the ceilings and partition walls. These walls had to comply to the highest standards of soundproofing. 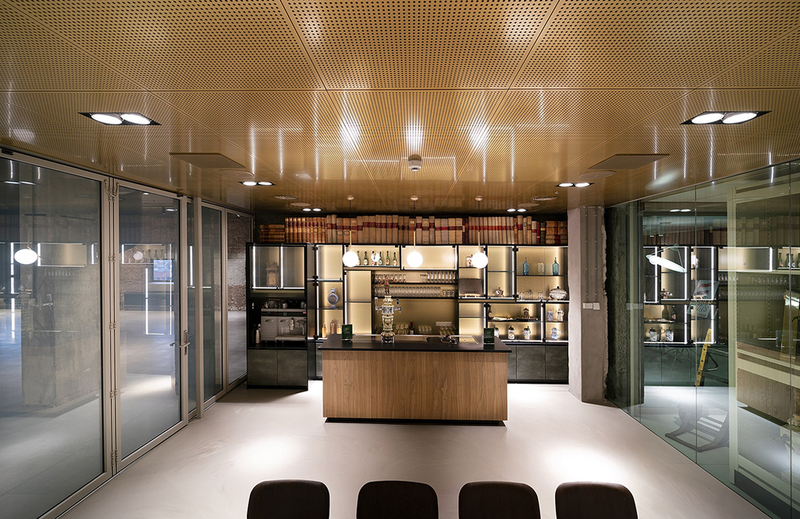 Thanks to clever design by all parties involved, the hotel rooms are fully soundproof. 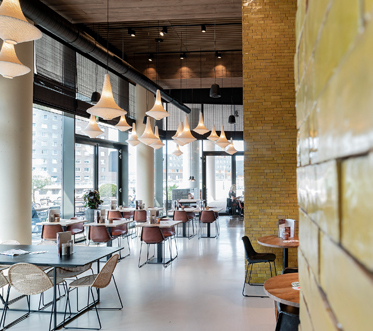 Grand Café MarkZicht was fully renovated in spring ‘18. 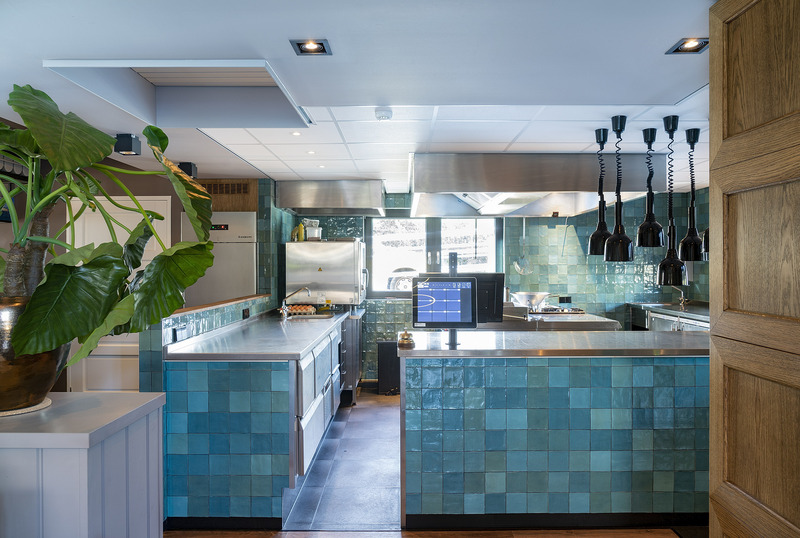 We were honored to manage the interior design and build in a joint project with E.S.T.I.D.A. 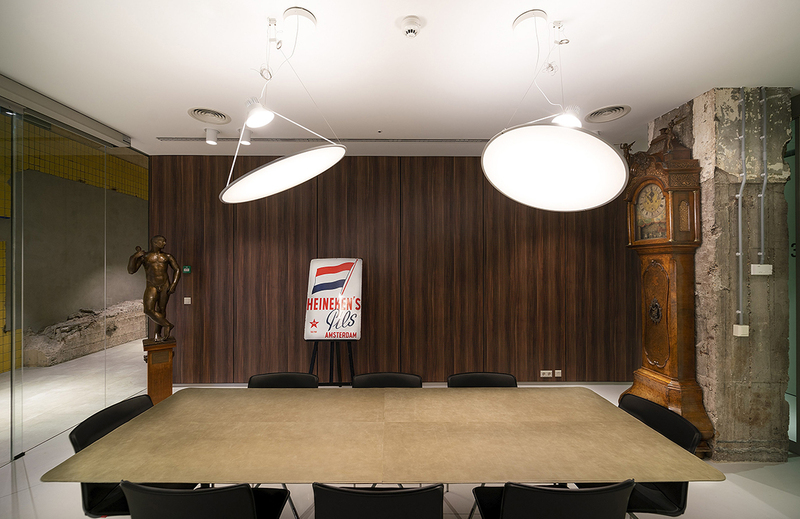 The result is amazing, with rust-colored vintage decorative panels, manufactured in Portugal and weighing 8 kg’s each, as a real eyecatcher. 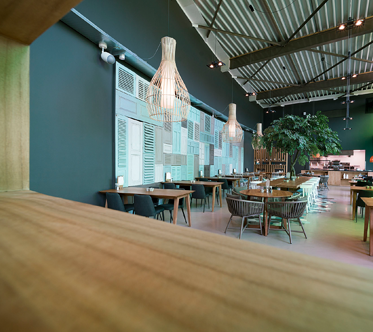 This summer restaurant Loetje has opened its doors in Nijmegen. 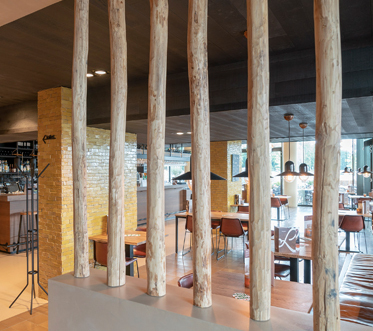 We have completed the interior design, wich was provided by Cabana Interior, who provides for all Loetjes restaurants. These pictures will give an impression of the wonderful result achieved. 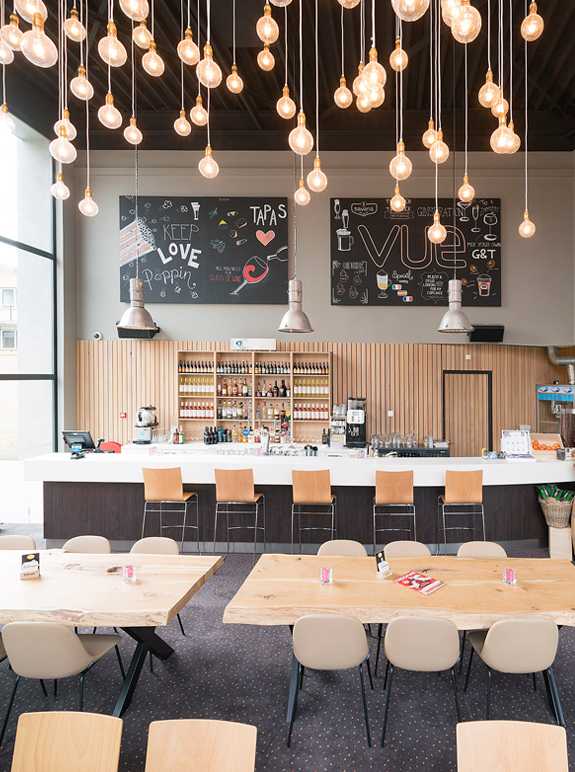 Movie theatre VUE Cinema Purmerend received a complete makeover in late 2017. 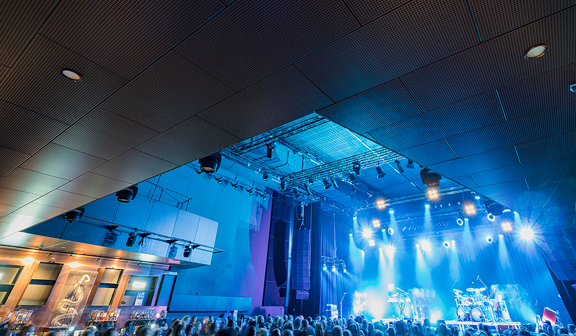 As for the renovation of VUE Cinema Den Bosch, Punt Systeembouw was the prime contractor on this job. The Cultural Centre (Cultuurcentrum) Heemskerk houses the city hall, library and music school. The music school is located in a library section, the city hall is directly above. This required high-end soundproofing solutions. 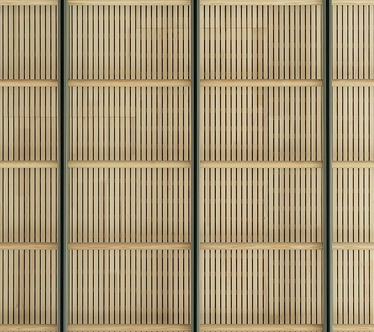 We applied several building techniques to meet these demands, for example by building double walls and ceilings. 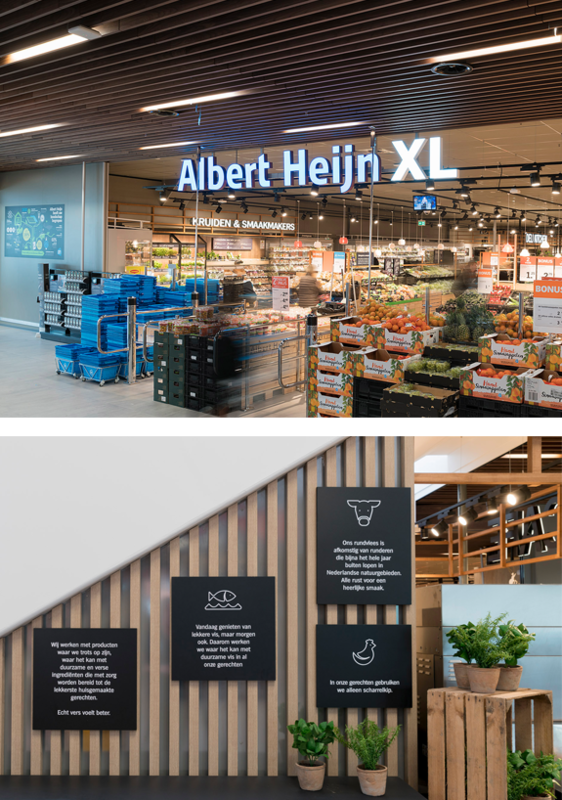 Shopping centre AH XL, with a large grocery store as main feature, was recently renovated. 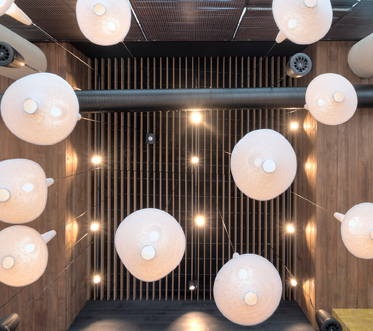 We were responsible for placing Lambri Grille ceilings at 9m height, near the main entrance, while working under tight deadlines to keep the shopping centre accessible for customers. 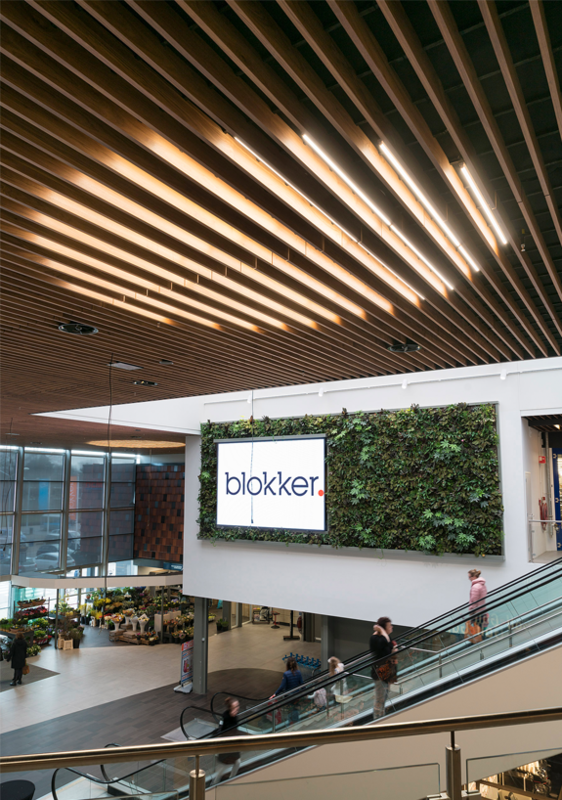 We finished the construction of the newly built ‘Podium Victorie’ in Overstad, up-and-coming shopping area of Alkmaar. 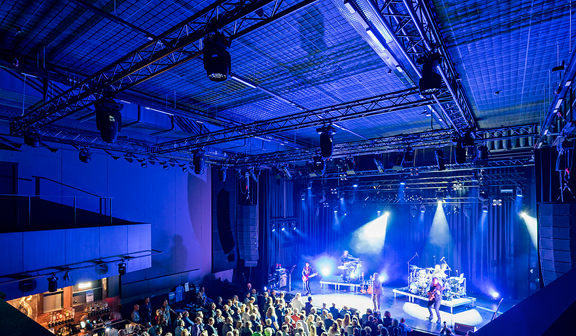 Victorie is the main music venue of the region, featuring a concert hall for 800 people and a music cafe. 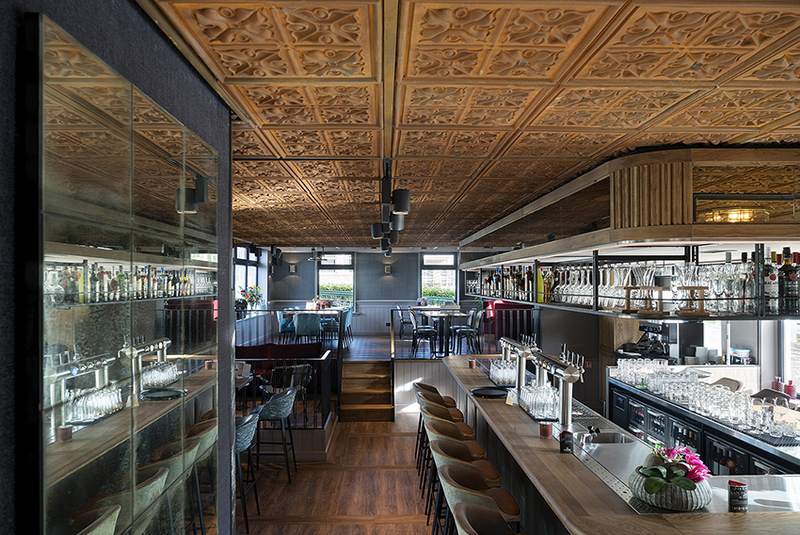 Both the interior and exterior were designed in a robust, industrial style. 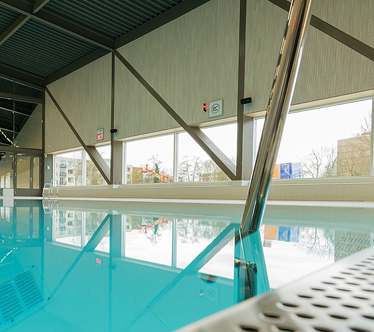 Swimming pool ‘De Crommenije’ was built with a focus on sustainability and quality, and by using cutting edge techniques and materials. 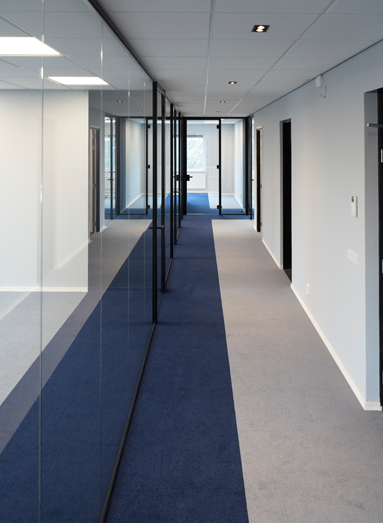 Major challenge in this project was the construction finish of the 9,5 meter high walls, while working in a narrow work area. Additionally, the building features a slanted roof, further increasing the challenge. 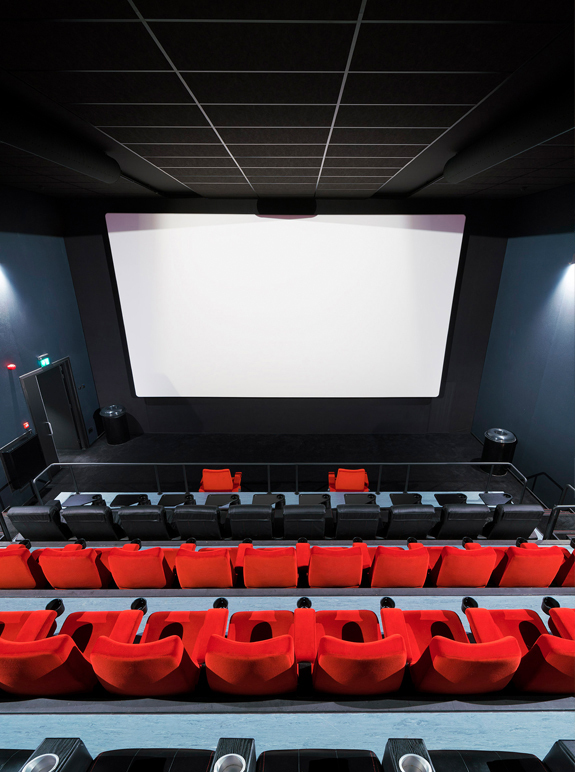 After doing construction on the VUE Cinemas in Kerkrade and Eindhoven, we were involved in finishing the latest VUE Cinema in Alkmaar. 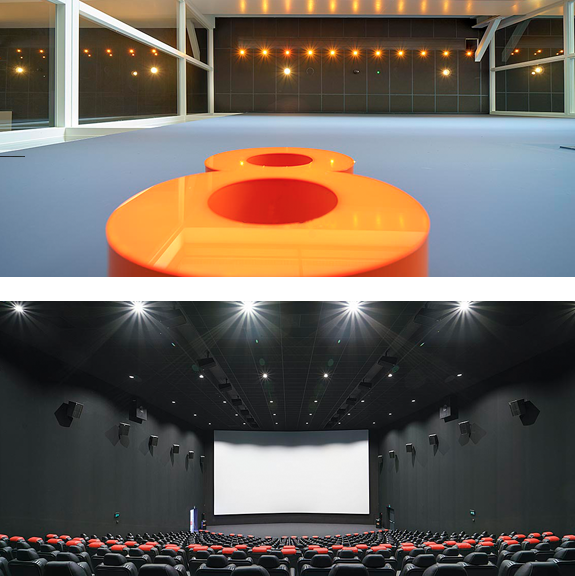 According to The International Cinema Technology Association (ICTA), this is the best new cinema building in the world. After a large fire, the community building of this beach resort park needed to be fully reconstructed so guests could enjoy the subtropical pool, restaurants, indoor playground and bowling alleys. 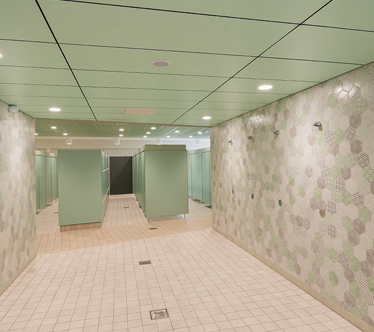 We completed this complex job well within the very tight deadline. 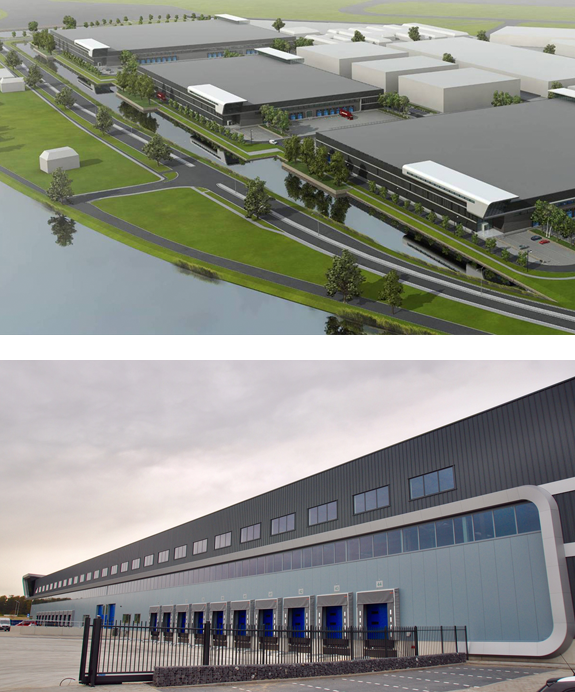 Working under a strict deadline, we constructed this distribution center of American company Prologis in a short timeframe. 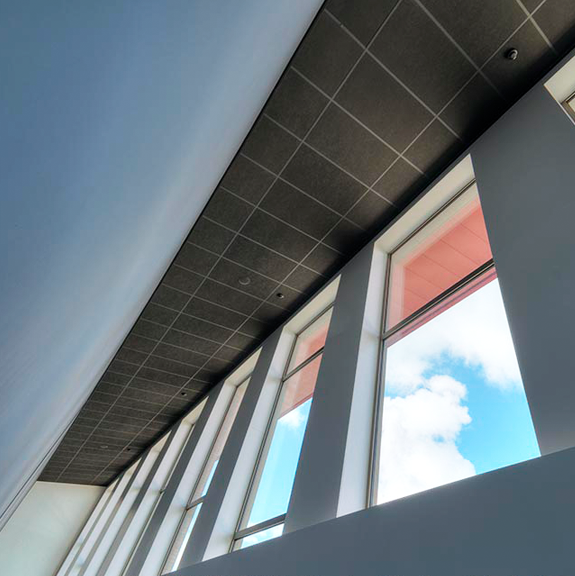 We built 6.000 m² of ceilings, as well as 10.000 m² Gyproc partition walls that came with the Gyproc Guarantee certificate. 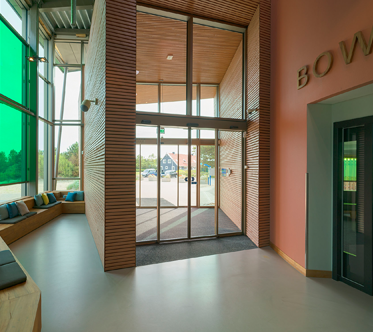 This build resulted in the BREEAM certificate ‘Very Good’, which means it was built according to guidelines promoting sustainability in new buildings.